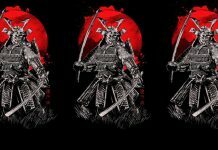 Thoughts about the development of the Budokwai and judo throughout the UK and Europe over the past century. 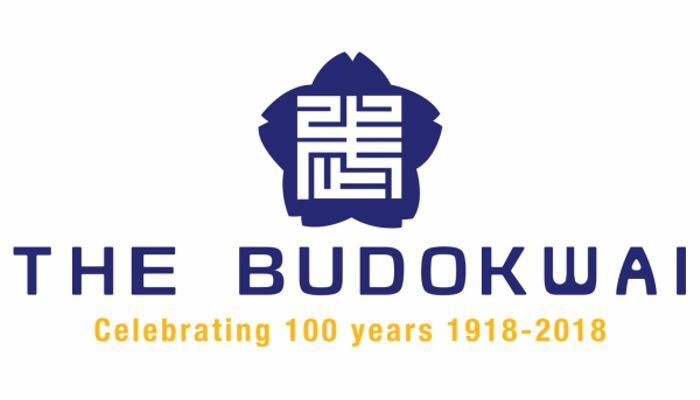 January 26, 2018 marks the 100th anniversary of the founding of the Budokwai, also known as GK House, by Gunji Koizumi in 1918. The following are thoughts on some of the notable events and the inspirational leaders who spearheaded the critical development of the Budokwai and judo throughout the UK and Europe over the past century. Jigoro Kano, born on 28th October 1860, started to study jujutsu in his teens and became a master of this art. He went on to create a new outgrowth of jujutsu stressing its moral and spiritual value and named it ‘Kodokan judo’. After graduation from Tokyo Imperial University, he first became a lecturer, then at age 25, a professor of political science and economics. In the late 1880s, he and his leading students began the promotion of judo throughout Japan. From the early 1900s, however, Kodokan experts were increasingly sent abroad, most at the behest of Kano. Shortly thereafter his career began to span out: he was elected the first chairman of the Japan Amateur Sports Association; he later headed two important colleges, became a politician, and served on the International Olympic Committee for some 20 years. Jujutsu expert Yukio Tani (1881-1950) arrived in Britain in 1900 at the invitation of one of his students, Edward William Barton-Wright (1861-1951). Barton-Wright was an engineer, who had studied jujutsu in Japan from 1895 to 1898, while employed on the construction of a railway. Standing 5ft 2ins. and 50 kilos in weight, ‘Little Tani’ as he was called soon became a household-name, especially throughout and following the boom period from 1902 to 1912. 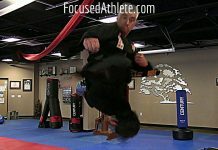 Jujutsu became a sensation. Most members of the general public were mesmerized when seeing such a small man defeat heavyweights, for it seemed to them like magic. Tani for years had huge success by trouncing his opponents of any weight in UK music hall prizefights. 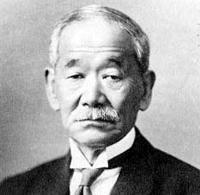 In 1902 Kano sent Yoshitsugu Yamashita (1865-1935) to the US where he instructed for some five years at Harvard University and at the US Naval Academy. President Theodore Roosevelt, Yamashita’s most famous student, had a purpose-built dojo constructed at the White House where he took lessons. 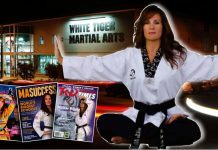 Mrs. Yamashita was also involved in teaching and gave judo tuition to American women. Among others heavily focused on the dissemination of judo overseas was the incredible Mitsuyo Maeda (1878-1941). He was born in Funasawa, Aomori prefecture, this area is now known as Hirosaki City. Maeda was given sumo lessons in boyhood by his father who was a keen amateur sumo man. He later went to Tokyo to attend the Tokyo Senmon School for his general education, and began the practice of Tenjin Shinyo-ryu jujutsu. Because he knew that Jigoro Kano was an expert in this particular style of jujutsu, Maeda decided to enroll at Kano’s Kodokan. He soon grew adept at judo. Maeda was subsequently appointed judo team captain at Waseda University. He left Japan after graduating from Waseda and became active in the 1900s in North, Central, South America, and particularly so in Cuba and other countries. He finally settled in Brazil, where he trained among others Carlos Gracie (1902-1994). Maeda became especially renowned in the Americas for his winning over 2,000 prizefights during his long and well-paid career. 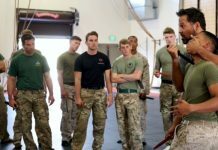 Although Kano and his foremost instructors strove to make judo popular abroad, they were confronted with difficulties, one being that many foreigners were not so much interested in judo training as such, they merely wished to learn judo self-defense techniques. Furthermore, a number of the early Japanese experts were more experienced in jujutsu than in judo, and by using their jujutsu skills in prizefights, they gained lucrative income. Although some Japanese were said to have given jujutsu lessons in the UK in 1900, the first dojo in the UK to be constructed as such was at Trinity College, Cambridge University. This amateur dojo was opened in 1906 by Mr. Evelyn Charles Donaldson Rawlins. He was born in 1884, and served for a time as president of this dojo. An expert linguist, Rawlins was said to have attained fluency in several foreign languages, a decided asset that no doubt served him well throughout his diplomatic career (1907-1940), which culminated in service as Minister to Bolivia (1937-1939). 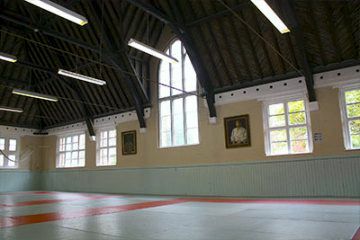 The dojo was private, however, and was used initially for the teaching of 25 members of Cambridge University. Since membership soon increased, Yukio Tani, Gunji Koizumi and Masutaro Otani were each requested to travel periodically from London to Cambridge in order to give instruction. Gunji Koizumi, often referred to as the ‘Father of British Judo’, was a tenant farmer’s son, born on July 8th 1885 in Komatsuka Oaza, a village north of Tokyo that is now part of Ibaraki Prefecture. His experience of budo was instigated with kendo lessons from the age of 12 to 15. Years later he said, ‘At the time I did not fully realize it, but I owe much to this kendo master. The force of his personality and the kendo training had a strong influence in moulding my ego.’ Koizumi also started to study English under the tutelage of a neighbour who had spent time in the United States. At 15 he left home and headed to Tokyo for training to become a telegraphist. At 16 he began to learn Tenjin Shinyo ryu jujutsu. Shortly after qualifying as a telegraphist, he secured initial employment in Tokyo for a while before going to Korea where he worked for a railroad company. In 1904, Koizumi sailed to the US with the intention of studying electrical engineering. He worked his passage travelling via Shanghai, Hong Kong, Singapore and India. Unlike the privately-run Trinity College dojo, the Budokwai was reportedly the first judo club in the whole of Europe to accept members of the general public. Sometime later Koizumi left America for Britain and reportedly arrived penniless in May of 1906. He first stayed for one year in Liverpool where he gave instruction at the Kara Ashikaga School of Jujutsu. In 1907, he moved to London where he collaborated with famed prizefighter Sadakazu Uyenishi (Raku) a teacher at a jujutsu school in Piccadilly Circus. Koizumi was engaged as a jujutsu trainer for a time at the London Polytechnic and at the Royal Naval Volunteer Reserve, following which he again went to the USA in 1907 where he found employment at the Newark Public Service Railroad Company. Unhappy with life in America, he returned to London in 1910 and attempted to set up an electrical appliance business. He met with little success, however, owing to insufficient capital. In 1912 he opened a lacquer ware studio at 83, Ebury Street, London, and fared somewhat better, for six years afterwards, at the age of 32, he founded the Budokwai which opened its doors on 26th January 1918. Shortly thereafter Koizumi engaged Yukio Tani as chief instructor. Tuition was initially offered in jujutsu, kendo and other kindred Japanese martial arts. Koizumi had long desired to operate a dojo for the study of martial arts and their related cultural aspects. This was based upon a twofold premise: to further interest in the martial arts, their philosophy and Japanese culture, and to repay his adopted country for its hospitality towards himself and his fellow compatriots. Unlike the privately-run Trinity College dojo, the Budokwai was reportedly the first judo club in the whole of Europe to accept members of the general public. The original 36 students, however, were all Japanese. The 37th applicant was an Englishman who joined in March 1918. In the early days, famous judo instructors such as Hideichi Nagaoka (1876-1952), Sumiyuki Kotani (1903-1991), Ichiro Hata (1906-1983), and Kano’s son-in-law who was the 1930 All Japan Judo Champion, Masami Takasaki, and others from Kano’s Kodokan, all taught for a time at the Budokwai. The relationship between Kano and Koizumi seems to have been a close and cordial one for Kano visited the Budokwai on six occasions, and was usually accompanied by high-grade instructors. For instance, Kano arrived in 1933 with two 6th Dan grade holders, Sumiyuki Kotani and Masami Takasaki. Judging from Kano’s comments and actions at that time it would appear that Kano wanted Kodokan branch dojos to be set up not only in Japan but also in principal cities around the world. On his 1933 August 26th visit, Professor Kano announced that he wished to merge the Budokwai with the Kodokan, thus in effect creating a London branch of the Kodokan. 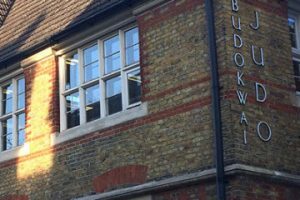 A general meeting was called and it was agreed without any dissent that the Budokwai would become a provisional branch of the Kodokan. Prior to Kano’s departure, arrangements were made for Kotani to remain in London as judo master. Unfortunately, Kotani was recalled by his employer, the Manchurian Railway Company, sooner than expected, nevertheless, he was able to instruct for three months during his leave of absence. In the summer of 1934, Kano was again in London, this time accompanied by the illustrious 58- year-old Hideichi Nagaoka, 9th Dan. Talks continued regarding the setting up of a Kodokan London branch. 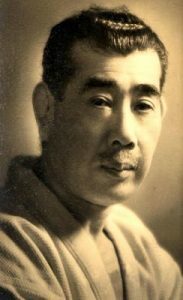 On July 24, 1934 Kano convened a meeting attended by Hideichi Nagaoka, Gunji Koizumi, Yukio Tani, Masutaro Otani (1896-1977), Marcus Kaye, Harold and Norman Hyde, Harold Tricker and Miss Woolhouse, with the intention of forming a Kodokan Yudanshakai (black belt association) of Great Britain. Following this gathering, Nagaoka remained to teach for some three or four weeks. However this ambitious proposal by Kano for a Kodokan branch to take over the Budokwai, ultimately failed to materialize. This was mainly due to the deteriorating international situation that eventually led to worldwide hostilities. Kano’s demise on May 4th 1938 was followed by great international upheaval caused by the Second World War (1939-1945). As a result, there was precious little progress made in further promotion of judo until the mid 1940s. On July 26, 1948, at the Imperial College Union, Prince Consort Road, London, the European Judo Union was founded by a dedicated group of enthusiasts led by Gunji Koizumi. In attendance were Trevor Pryce Leggett, John Barnes, Dr. Feldenkrais, and F. Kauert representing Britain; P. Buchelli and F. Limfuhr on behalf of Austria; L. Thieme representing Holland; Signor Castella representing Italy and L. de Jarmy from France. During this meeting, Leggett was elected first chairman of the European Judo Union. Teizo Kawamura (1922-2003) a 6th Dan, arrived in 1953, and was the first post-war Japanese instructor to be engaged at the Budokwai where he gave coaching until his return to Japan in 1955. In order to help popularize judo in response to the sporadic lackluster recruitment periods, annual martial arts displays were instigated by the Budokwai membership from around 1930 until 1968. These well-attended demonstrations in later years attracted hundreds of curious spectators to such large London venues as Seymour Hall and the Royal Albert Hall. Kano’s endorsement of judo was life-long and resolute for he strove long and hard to scatter as much as possible the seeds of judo internationally. These seeds started to sprout 100 years after his birth when in 1960, in Rome, Italy; the International Olympic Committee announced that judo was to be included in the 1964 Tokyo Olympic Games. This declaration initiated a sudden and globally determined rush by sports administrators to assemble, train and foster contestants for the initial upcoming weight category events at the 1964 Games. 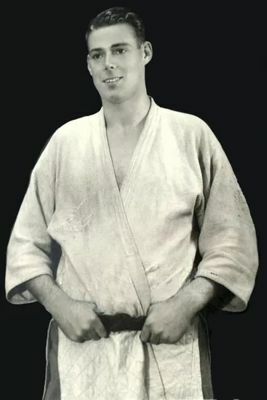 Also, the reputation of judo in the early 1960s was given a significant boost following international championship successes by non-Japanese judoka, in particular by Dutchman, Anton Geesink (1934-2010) who at the age of 27 stunned the global judo fraternity by his overwhelming of leading Japanese opponents when he captured the World Judo Championship in Paris in December 1961. He subsequently gained the Tokyo Olympic Open Weight gold medal in October 1964 and the +80 kilo category World Judo Championship in Rio de Janeiro, Brazil, in October 1965, following which he retired from contest judo at the age of 31. After the hugely successful 1964 Tokyo Olympic Games, judo gained ever more rapid exposure from a powerful source. Judo techniques, often performed by an actress pitching a man in retaliation for harassment, were very much in vogue in movies and in TV drama scenes. Such throws were famously featured in the trendy ‘James Bond’ movies of the day. Thanks to this wide-reaching exposure, 1960 to 1970 was the decade that many women as well as men started to take a keen interest in the practice of judo. Likewise, succeeding decades saw other oriental fighting systems take the spotlight as they too achieved universal fame largely due to the movie exploits of stars such as Bruce Lee and Jackie Chan. In closing, I wish to highlight the significance of this venerable institution, for The Budokwai is much more than a dojo. It’s a cultural asset, a symbol of the salient link that binds the budo tradition to British society and as such will, I’m sure, prove increasingly of benefit by the future promotion of this strong bilateral relationship, as long as the Budokwai remains at its current location that is. 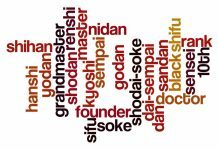 Also, we must remember that the British judo fraternity owes a debt of gratitude to the memory of all those many staunch enthusiasts, both British and Japanese, who have gone before. They, through dint of hard work and dedication, have helped the Budokwai reach this important 100-year milestone. But above all, we should remember in particular the four ardent members who built and maintained the solid foundations that enabled the Budokwai to survive during its critical years. These four adherents, who played crucial roles, were Yukio Tani (1881-1950), Gunji Koizumi (1885-1965), Enid Russell-Smith, OBE, (1903-1989) and Trevor Pryce Leggett (1914-2000). Yukio Tani arrived in Britain, according to Richard Bowen’s research, in September 1900 and soon achieved eminence as a jujutsu superstar. The diminutive Tani, toured the profitable music hall circuit issuing challenges for prize money to boxers and wrestlers of any weight. He was renowned in particular for his many surprising ‘David versus Goliath’ victories, against heavyweight opponents, and reportedly earned some 250,000 pounds in the process, a vast sum in those days. Tani taught at the Budokwai from the early days. He suffered a stroke, however, in 1937 at the age of 57 putting an end to much of his active career. 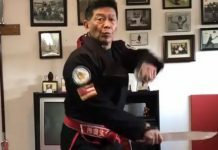 He did, nonetheless, continue to teach from the sidelines until a second stroke in 1950 led to his passing at the age of 69. He was married to Mary Alice Fearon. Their daughter, born in 1920, became Moya Ward upon marriage. 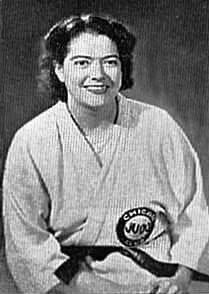 Moya also trained in judo and taught British women at the Anglo-Japanese Judo Club in Strathmore Gardens, London, in the mid 1930s. This club was founded in 1901 by Tani’s jujutsu collaborator Sadakazu Uyenishi who together with Tani successfully toured the music hall circuit as a prizefighter for a time, before returning to Japan. The first authoritative UK judo periodical to be issued regularly was the Budokwai Quarterly Bulletin, published throughout the 1940s and 1950s under the very capable editorship of Enid Russell-Smith, OBE, who was, incidentally, one of the first British females to gain a judo 3rd Dan. She carried out this important editorial task and other Budokwai clerical duties despite her heavy engagement in busy and essential work at the Ministry of Health from 1925 until retirement in 1963. Dame Enid was subsequently appointed Principal of St. Aidan’s College at Durham University where she served until 1970. She died on 12 July 1989 aged 86. In similar vein, mention should be made of the sterling efforts of G. A. Edwards and A. R. Menzies who for many years regularly issued the highly informative monthly magazine Judo. Without this valuable communicative organ, the dissemination of judo-related matters would have been severely handicapped. Trevor Pryce Leggett (1914-2000) was another of the Budokwai stalwarts. He started judo at the age of 16 under the guidance of Yukio Tani and Gunji Koizumi. He earned a degree in law from London University in 1934. A fanatically disciplined person, Leggett took to his training wholeheartedly and quickly gained promotion to 3rd Dan before leaving in 1939 at the age of 25 for Tokyo where he was employed at the British embassy. He trained at Chuo University and the Kodokan. He was later awarded 5th Dan, then 6th Dan, reportedly the first non-Japanese to achieve this grade. Interned in Japan following the outbreak of the Pacific War in 1941, he was repatriated along with other embassy staff and left Japan in July 1942 aboard the Tatsuta Maru of the NYK Line. Once back in the UK, he entered the Ministry of Information and saw service in India as a British army major working in counter-intelligence where part of his duties was to interrogate Japanese POWs. From 1946 he worked at the BBC and in this same year at the age of 32 he suffered a stroke and was advised by his doctor to give up judo. Nevertheless, he continued judo practice. In later years he was promoted head of the BBC Japanese Service. In 1959, at his own expense, Leggett founded the Renshuden Judo Academy, situated near Regents Park, London, where he led a number of young 5th Dan experts; namely, Saburo Matsushita, Kisaburo Watanabe and British 4th Dans John Newman and George Kerr in the training of the members, who were mostly British international contest men. The Renshuden, however, after more than a decade eventually closed its doors. From the 1950s to the early 1960s Leggett trained many leading British judoka; especially those who were privileged to attend his much celebrated but physically demanding and exhaustive ‘Sunday Class’ at the Budokwai. Leggett retired from the BBC in 1969. He then turned more of his attention to writing and published some 30 full-length books covering subjects such as judo, Zen, yoga, Buddhism, and budo. In 1984 Leggett was awarded the Order of the Sacred Treasure by the government of Japan for his contributions in helping to introduce Japanese culture to Britain. He, like Kano, was a man devoted to learning and to self improvement, and saw judo as training for life. Leggett died of a stroke on 2nd August 2000, aged 86. This is my true testimony that the action I am about to take, to effect permanent rest to my physical life, is purely to accord to my philosophical conviction. In spiritual sense, the process of human life clearly indicates that the Divine Wisdom for creation was founded on the principle of progression and continuity, and each individual life is endowed with specific faculty to serve specific part in the Divine plan. Thus the tenure of one’s life depends on one’s capacity for that service. 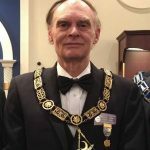 Approaching to the 80th birthday, by the progressive and irretrievable state of mental and physical debilities, I have been persuaded to realize that the term of my service to the cause of life has now come to an end, and to linger on the futile existence is not only against my conviction but an evil burden to my friends and society. Hence this action. I am sorry to be a cause of wasteful nuisance to you all but I hope it will be taken as a lesser evil. Finally, I hope that the great services that he rendered with such unremitting devotion to judo, to Japanese and British society and to his support of the Budokwai, will not be forgotten, for Gunji Koizumi was without doubt a credit to his race – THE HUMAN RACE.